Erickson Ambulance | Quality medical emergency transportation and non emergency transportation in the Chicago area. We provide medical transport services for special events as well. 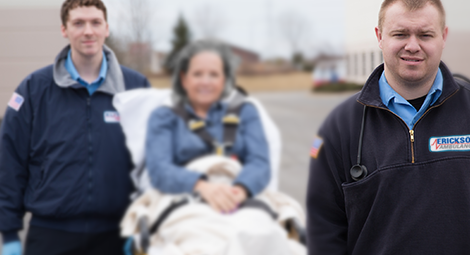 Since 1957, our goal at Erickson Ambulance has been to provide each patient with the expert care and dependable service they deserve. 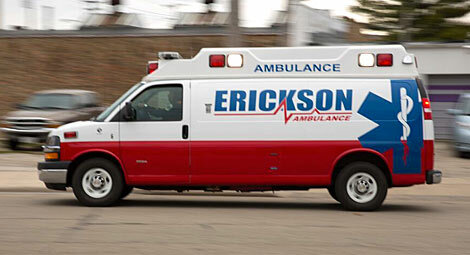 Managed by a team with significant experience in the ambulance and healthcare fields, Erickson has established itself as a premier medical transportation ambulance service in the Racine area. We aim to provide first-rate service to all patients under our care and uphold our values by delivering expert medical assistance with compassion in every case. Driven by our highly-trained and considerate staff, we strive to provide exceptional service that lead to positive outcomes for our patients. © 2019 Erickson Ambulance, Inc. All rights reserved. Responsive Web Design and SEO by Rand Marketing.